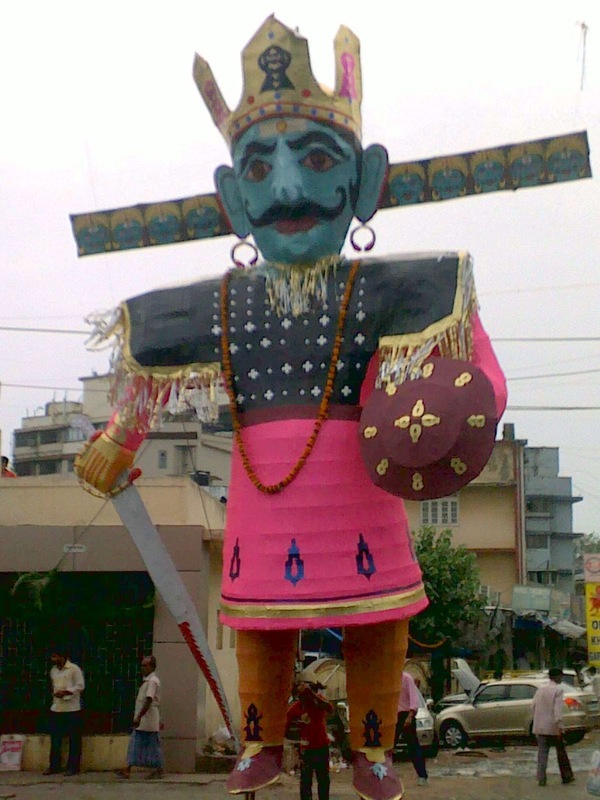 Hence even though completely out of season (Dusshera comes up in the months of October/ November), here's a picture of one I spotted on Mumbai's streets last year *cough* year before last. See his overlarge head? And nose, and hands, and feet, and fuchsia-and-blue tunic? They're all stuffed silly with firecrackers, which will light up the night sky a little after twilight, when all such effigies are burnt. The significance? Good v/s evil, and here's a link for more information: http://en.wikipedia.org/wiki/Ravana. I can meander on about Indian mythology, and my fascination with it, but maybe this isn't the post. So let's just leave you with this little slice - and maybe you could do your own exploring! Enjoy! WHAT DID YOU DO THIS V-DAY?